Specialist machinery and facilities supported by highly skilled technicians. 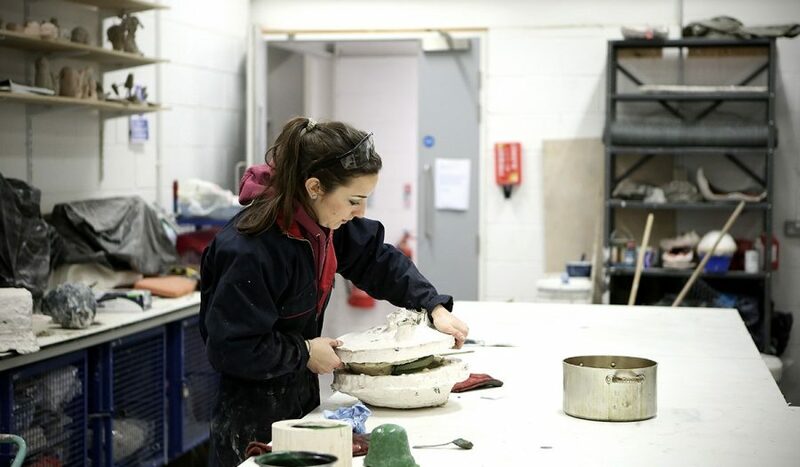 Edinburgh Sculpture Workshop offers a range of shared spaces, specially designed to accommodate contemporary sculptural practice and staffed by a technical team who are practicing artists. Prices are set at an affordable level, and the facilities are available for use by individuals and groups. 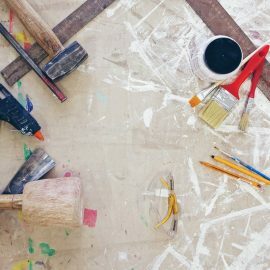 First time working at Edinburgh Sculpture Workshop? You can arrange a tour of the building and workshops to see the spaces and chat to our staff team about what support is available. Or if you live outside Edinburgh call or email us to find out more. To work here you pay a session fee, which gives access to all the shared workspaces. 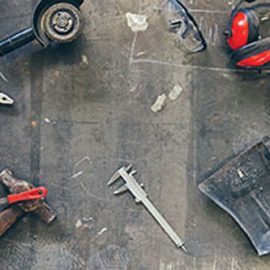 There are additional charges for some of the workshop machinery, for consumables and for workshop services such as training, fork lift use and storage. For details of charges and payments see below. If you haven’t worked at Edinburgh Sculpture Workshop before or it has been a while, a building and health and safety induction is required. This takes around 15 – 20 minutes. Phone 0131 551 4490 to book in advance, this allows us to ensure space and machines are available and ready for use on your arrival. Named user equipment: ¼ – 1 inch Band Saw, Panel Saw, Planer and Thicknesser, 12 inch Sander, Chop Saw, Table Router and Pillar Drill. To work with this equipment users must first have an induction to demonstrate their competency. For anyone unfamiliar with machinery we can offer training. This can be arranged directly with the technical team. Equipment: 2 Electric kilns firing up to 1240° for glass and ceramics. Wax melting pot, electric hobs and power assisted mixers available on request. Kilns can only be used by members. Users must have an induction and then pay a daily rate, electrical unit charges and a deposit. 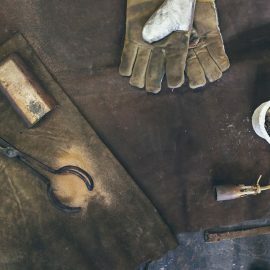 Named user equipment: MIG, ARC and TIG welders, Plasma Cutter, Oxy-acetylene for cutting brazing & welding, Metal Roller, Box Folder, Cold Saw and Gas Forge. To work with this equipment users must first have an induction to demonstrate their competency. For anyone unfamiliar with machinery we can offer training. This can be arranged directly with the technical team. Extra charges apply for equipment consumables. 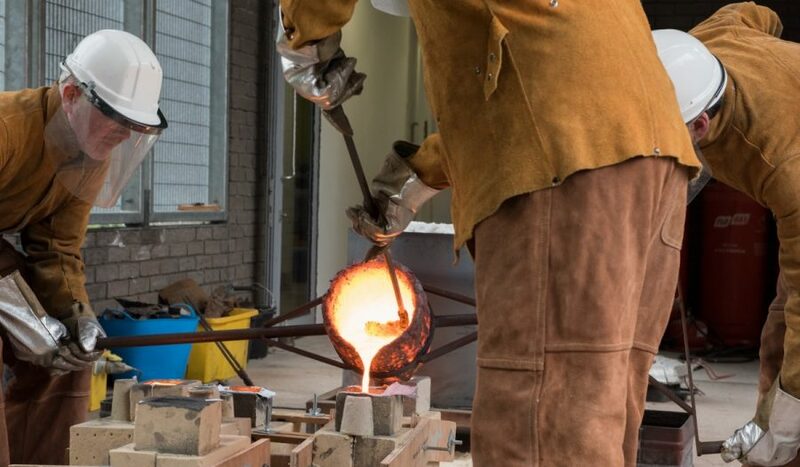 Edinburgh Sculpture Workshop has foundry facilities for small to medium scale casting designed to assist artists in their research and professional development. 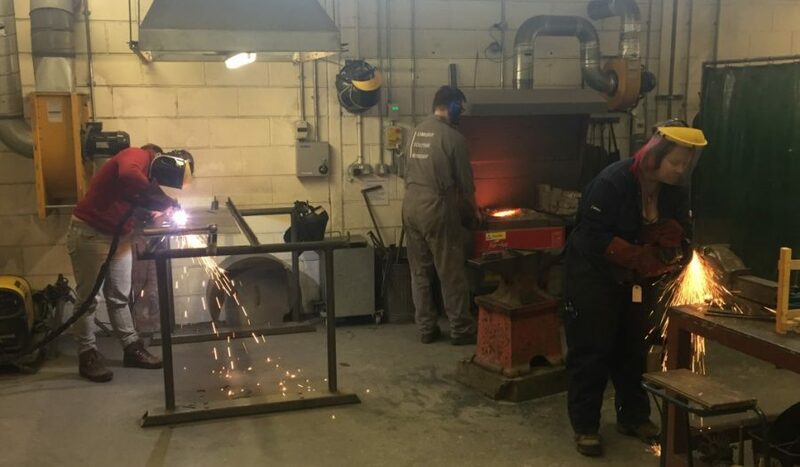 Casting workshops are advertised throughout the year. The Covered Yard is ideal for larger projects or for projects where good airflow is necessary and is available to hire as single or multiple quadrants. 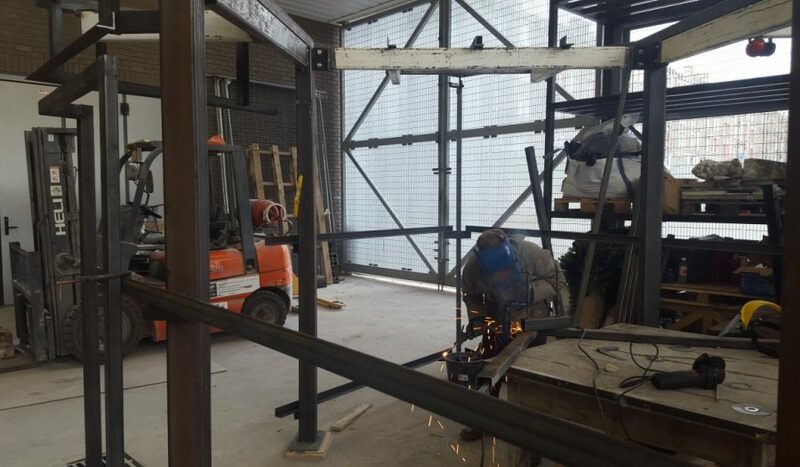 Situated beside the main gate, it provides easy access for delivery of materials or work. 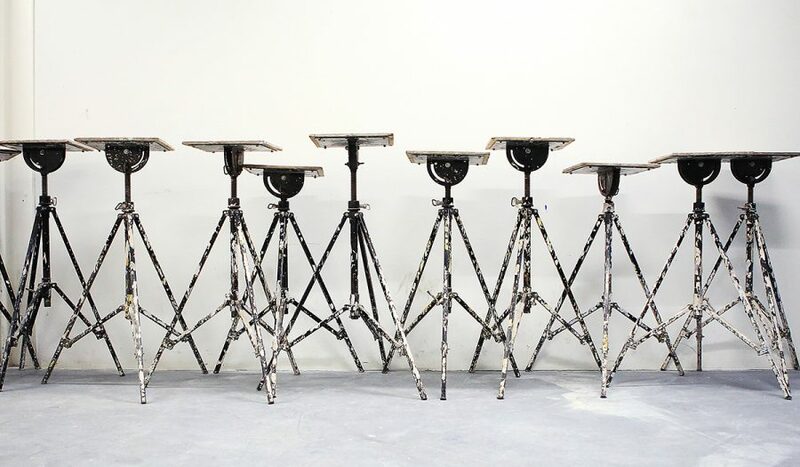 Machine use is limited due to Edinburgh Sculpture Workshop’s proximity to residential areas. For Small Scale Stone carving using air tools. 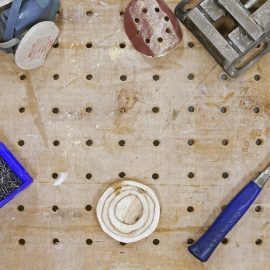 Bench space is available for day users when the space is not being used for Edinburgh Sculpture Workshop’s Learning activities. 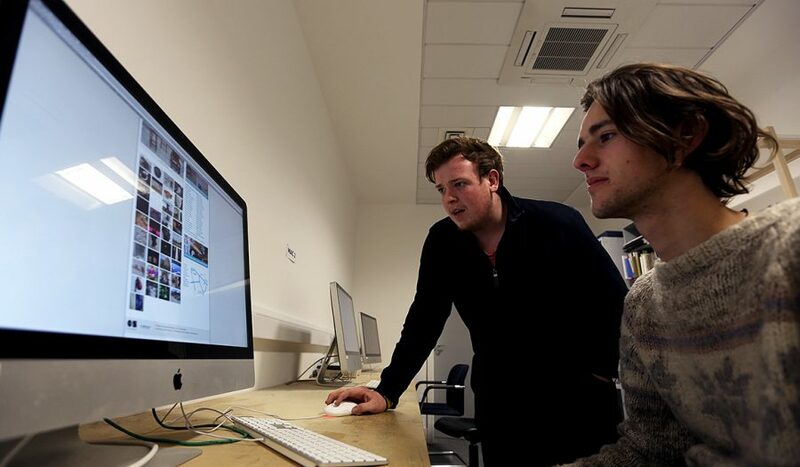 It can also be hired by organisations wanting to run their own courses and workshops. Three Apple macs with Adobe software, photo editing software, sound and film editing software and 123D Design, and one touch-screen Toshiba PC. There is also a printer and photocopier and hot desks. Book in advance by phoning 0131 551 4490. Minimum booking time is a Session (a half day). Payment is made at reception before the start of the session. Non-member rates are double the member rates. You can pay for your consumable items and machine use in advance with a prepayment card, or pay as you go. 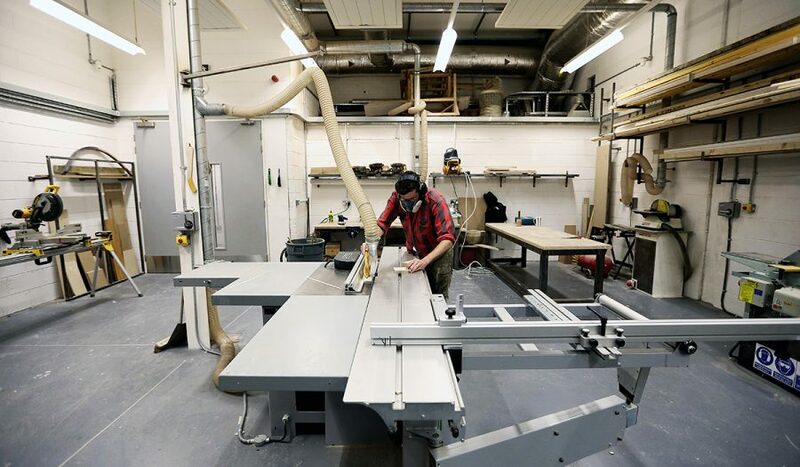 £3.00 per session for use of all named-user equipment in the Wood Workshop. £2.50 per day + 0.30p per electrical unit used. A deposit of £50.00 is paid before firing starts and is offset against firing charge. Workspaces are open 6 days a week: Monday to Saturday. Technicians are available between 10.30am – 12.30pm and 2.00pm – 4.30pm for general advice and skills training across various workshop processes. You will need to book time with a technician if you need dedicated assistance. Support outside of these times can often be arranged in advance, and is organised directly with the technicians (subject to availability). Artists wanting to make or develop work over a longer period for example, a large public artwork or a body of work for an exhibition should discuss access requirements with a member of the technical team before making a booking.